Love it or hate it-- and there's not been all that much middle ground-- the State Car Special Edition series has been, by far, the most ambitious SE program in the entire history of Micro-Trains Line, going all the way back to 1972. 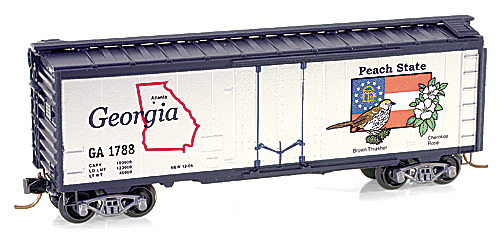 Dwarfing the "Bicentennial" series, a mere fourteen releases produced in 1975 and 1976, this collection of rolling stock honored all fifty United States and also included a pair of FT locomotives and a caboose. Additional "member only" cars from the N Scale Collector's Society made by MTL in the same "look and feel" supplemented the main series; we've got those NSC cars included here as well. Aided by a substantial marketing push in the second half of 2002, the first car in the group, January 2003's Illinois was a very quick sellout and jumped quickly to a high aftermarket premium. The second and third cars, California and New York, also command significant aftermarket values at times, but the Illinois is the key car in the series. Most of the other regular run cars, though becoming a bit harder to find, generally do not yet have any consistent premiums above the original prices. The NSC cars, though, can and do sell for more than they cost members (a combination of the price of belonging to the NSC and the price of the car itself over and above that). The series went through two catalog number changes in its history. Originally, the catalog numbers were by tens as is the practice for most MTL freight car releases. It was probably noted very quickly that the 21000's would have been almost out of numbers by the time that was completed-- the group would have ended at 21810!-- so a switch to single digit increments began with the South Dakota release, 21371. That would have ended the numbering at 21419, except that the eight digit catalog numbers began in January 2005 with West Virginia, 021 00 386. 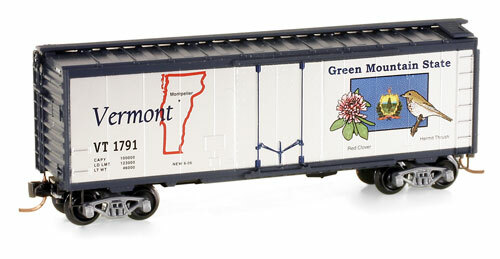 From July 2008 through September 2012, Z Scale versions of the State Cars were issued. Please refer to the alphabetical listing here to view the release sequence, which was not the same as with the N Scale releases-- other than the Illinois car which opened the Z Scale series in July 2008. The images below are ordered by the sequence of N Scale releases... sorry, but they were done first! 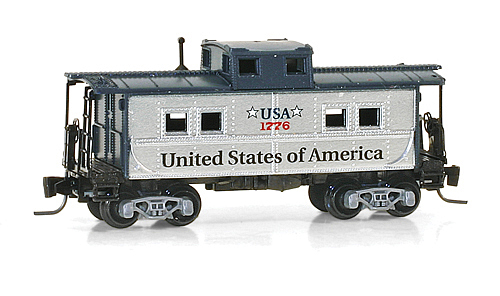 The N Scale Collector's Society issued only one "almost a state" cars in Z Scale, the District of Columbia. If you'd like to see when your state was issued, jump here to see a table of the states in alphabetical order with the N Scale Release information. With most images provided through the kind courtesy of Micro-Trains Line, here is the rundown of the state series by date of issuance. The table below shows the states (and territories) listed alphabetically, so that you can check for a state of interest at a glance for both N Scale and Z Scale releases. The Z Scale releases began in July, 2008. 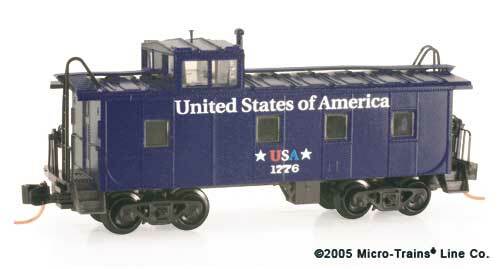 Except for the District of Columbia car, the "Almost A State" cars were not released in Z Scale. * "USA" releases aren't being counted in the release sequence. ** N Scale Collector release not available to general public. Also, not a state!